Joerg is a native Digital Transformation Champion. Passionate about IoT internet of things and smart data & analytics. The connected life, work & cities. Mobile DNA. Brand evangelist. Vibrant & curious character. Joerg Bollow was born in 1971 in Münster / North Rhine-Westphalia and studied marketing management. With more than 20 years working experience he has worked for Deutsche Telekom AG, T-Mobile, T-Online, Hutchison Telecom / Orange, Nokia, Ericsson as an employee. From 1988 to 2009 he was in charge of a number of marketing and innovation roles at these companies in high competitive markets. Starting most of the time as a real pioneer: with the launch of the GSM digital cellular networks, both speech and later data network standards, to mobile internet offerings and first smartphone hardware (incl. OEM). Always at the real forefront of innovation. As a consultant Joerg Bollow had worked for Vodafone, Toshiba Computer Systems, Microsoft, Bisnode in the ICT business and TIMES market. He did also work for the famous Thjnk AG; one of the leading creative agencies with it´s headquarter in Hamburg. The BMC office itself is located in Darmstadt, Hesse. Joerg´s mission is to develop and transform a great strategy into result driven execution and to help others in finding new ways of business innovation in the world of change and digital transformation. Today Joerg Bollow is the Executive Director Marketing D/A/CH and Member of the Management Team at Bisnode Germany responsible for Innovation & Customer Experience Management, Products & Services and Analytical Services. 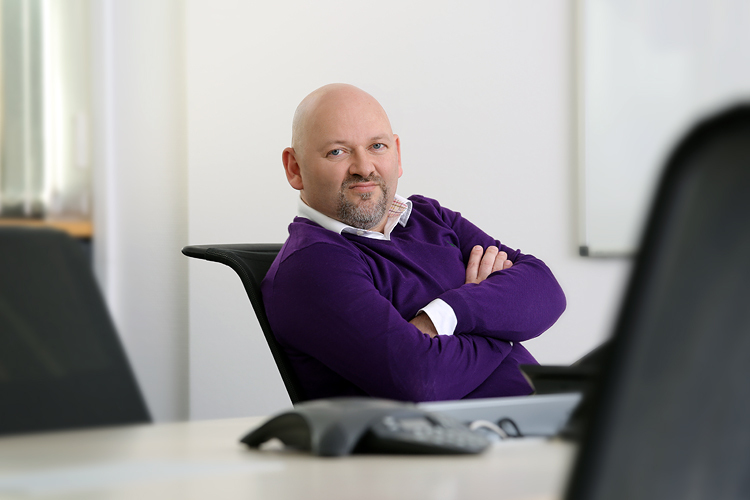 Joerg started at Bisnode as a permanent employee in 2014 as Innovation & Business Development Director. He is also Member of the academic International J.A. Schumpeter Society and the Commission for Internet & Digital at the BVMW Bundesgeschäftsstelle, Bundesverband Mittelständische Wirtschaft. 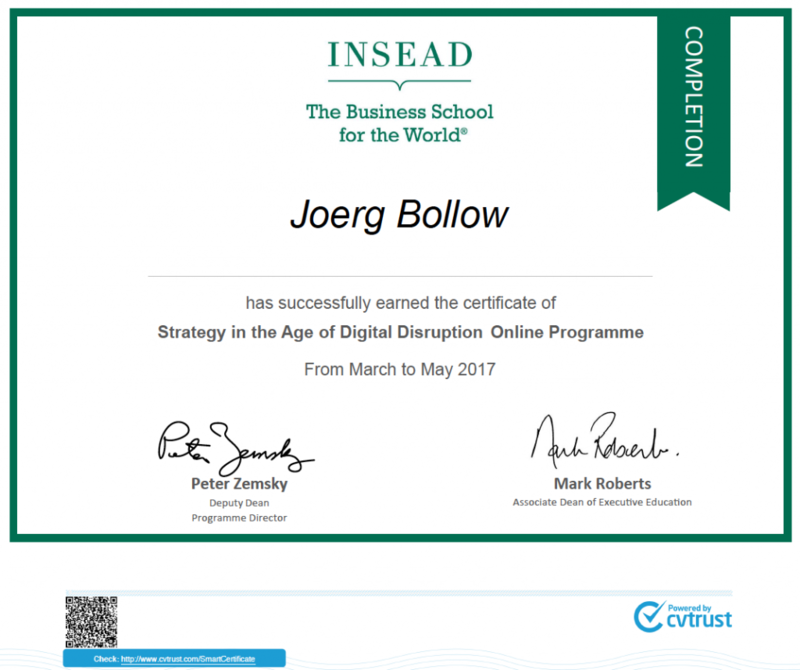 In 2017 he successfully completed the Executive Education Programme Strategy in the Age of Digital Disruption of INSEAD Business School.